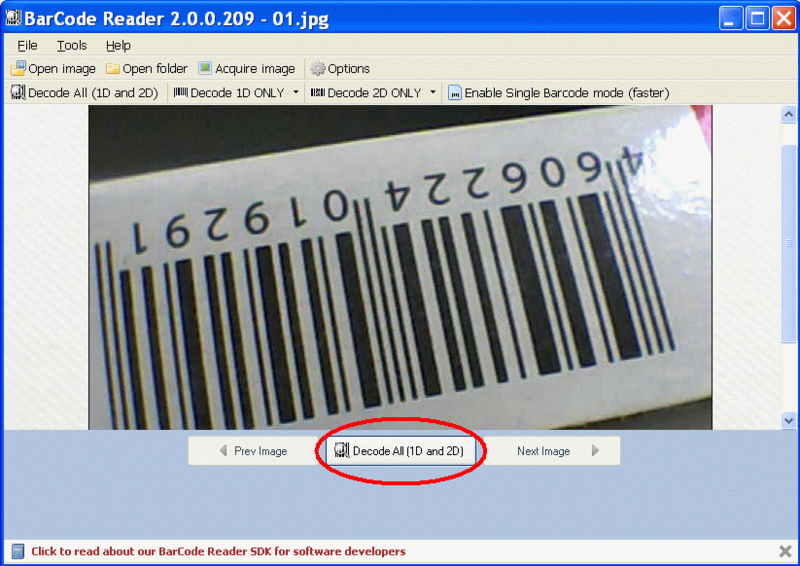 BarCode Reader SDK and BarCode Reader free utility are capable of reading 1D and 2D barcodes from images fetched from a scanner or a web camera device. 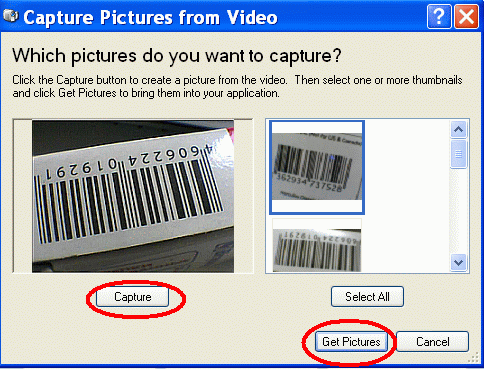 DEVELOPERS: To load image from web-camera or scanner device into BarCode Reader SDK please use freeware Scan SDK (visit this page for free download). Scroll to the end of this tutorial to see ready-to-use source code snippets. You can test how it works with BarCode Reader utility included into BarCode Reader SDK: run it, use Acquire Image button to load image from web-camera or scanner device. Ability to change the focus (in MANUAL FOCUS mode). Usually such web camera devices have a ring around lenses which can be used to adjust the focus. Web camera devices with ability to change focus: Microsoft LifeCam VX-1000, Logitech QuickCam Pro 9000, Labtec Webcam 2200 and any other with manual focus support. Why it’s important to have Manual Focus in a Web Camera? 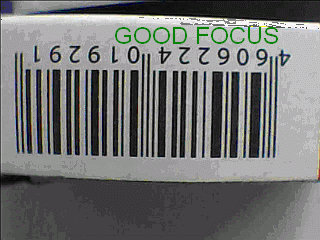 Manual focus is required to get sharp image of the barcode. 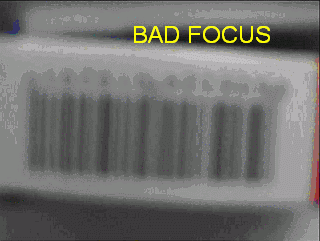 With autofocus web camera devices usually are not able to take sharp photo of the barcode. make sure you have a sharp image and the barcode is not cut on the picture. 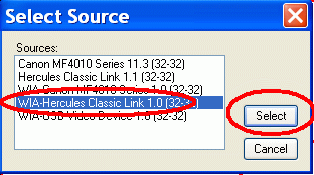 Select WIA-Hercules Classic Link and click Select. You will see the utility found and decoded the barcode. 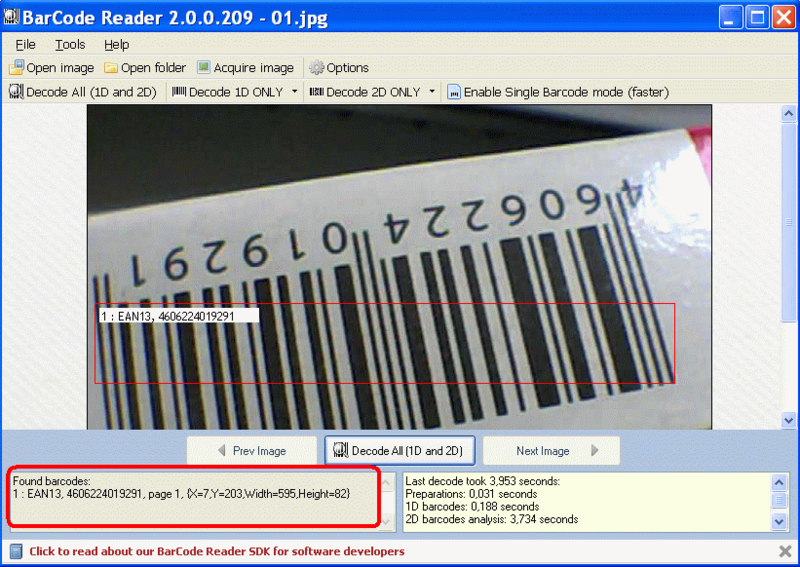 How to speed up decoding barcode images: you can speed up decoding by clicking Decode 1D only button or Decode 2D only button if you know the type of the barcode you have.